Maintaining cleanrooms and other aseptic areas to the most stringent regulations, plus validating sterility testing processes, requires quality assured prepared culture media. The latest draft revision of EU GMP Annex 1 highlights an increasing need for organisations operating in pharmaceutical and medical device manufacture and other industrial sectors to reduce the risk of contamination wherever possible. 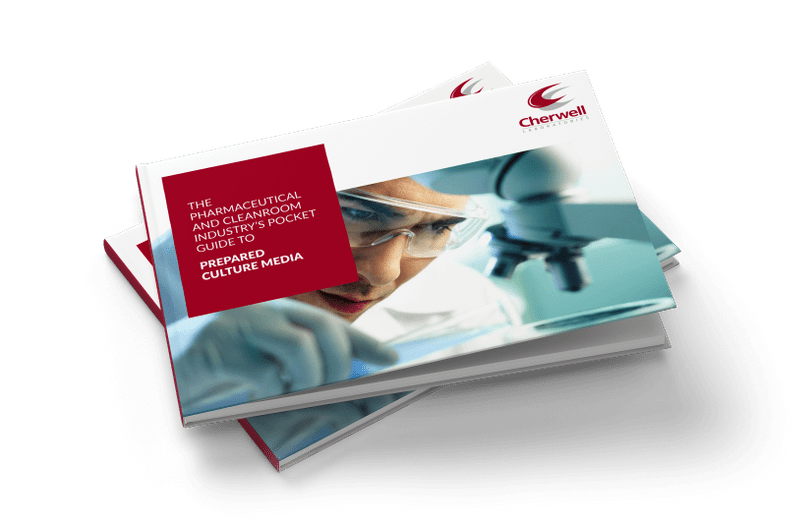 Cherwell supplies an extensive range of prepared cultured media including poured media plates, bottled media, dipslides, broth bags, ampoules and more. We offer many media formulation options and can even create bespoke media and accessories to match the specific requirements of your organisation and facility. Key to environmental monitoring, settle plates are used in active and passive air sampling, while contact plates are used to test surfaces. VHP impermeable packaging is available for use in isolator systems. There are many different kinds of bottled media. They are typically used to test for various microbes across healthcare products, food, water treatment samples, environmental samples and more. They are particularly useful for the cultivation and isolation of microbes. In the pharmacopoeia sterility test, TSB is used to detect aerobic bacteria and fungi, and FTM to detect anaerobic bacteria. TSB is also used in universal operator transfer validation, to ensure aseptic standards are met during fluid transfer between different containers. Our environmental monitoring requirements have changed. Can you help us create new processes? Yes. We have almost thirty years' experience with helping pharmaceutical and associated industries deliver environmental monitoring processes critical to the manufacture of heavily regulated products. We supply every component you need to create environmental monitoring processes. We also offer bespoke formulations, accessories and even packaging solutions for organisations with very particular needs. Get in touch today. Let's discuss your requirements. Do I need to store my prepared media in the fridge? The majority of our prepared media can be stored in ambient conditions, not exceeding 25ºC. There are only a small number of very specialist products that require different storage conditions. We have never specified refrigeration as a storage condition for our general media as this causes excess condensation and can result in very wet agar, rendering it impossible to use. What is the maximum exposure time for settle plates? Settle plates are used to monitor the level of viable particles in the environment through a process of passive air sampling. 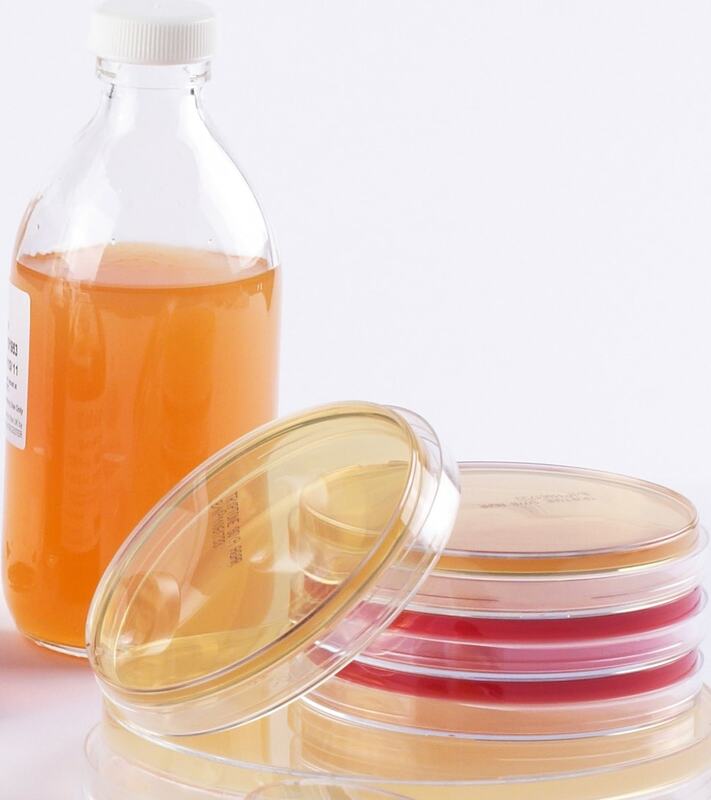 A viable particle settles on agar plates at a rate dependent on its characteristics and the airflow in the environment. EU GMP Guide Annex 1 has recommended that 90mm settle plates can be exposed in cleanroom environments for up to 4 hours. However, agar plates may dry out during long exposures where the rate of air exchange is high. So, it might be necessary to use deep filled settle plates, or replace the settle plate after a shorter time to ensure satisfactory growth promotion after exposure. What is the difference between general purpose and selective growth media? General purpose media have nutrients that support the growth of most non fastidious culturable microorganisms. Selective growth media contain components that will inhibit the growth of some types of microorganisms, while supporting the growth of others. General purpose media, such as Tryptone Soya Agar, are used to produce total counts. While selective media, such as XLD for Salmonella species, are used to test presence/absence of specific types of microorganism. How much air should we sample? Typical requirements suggest 1,000 litres per air sample in high risk areas, such as: grade A filling lines, grade B clean rooms, operating theatres etc. As the criticality of the area reduces, the sample size can be reduced. The aim is to achieve a representative sample; so where higher counts would be expected, a smaller sample produces a more realistic number of cfu to count. Should I use contact plates or Petri dishes in my air sampler? SAS samplers were originally designed for Contact plates, however, a Petri dish option has been available for a number of years. It is really a personal choice, although this should be decided at time of purchase, as the sampler will be specifically configured for the plate type chosen. There are advantages for each version and we would be happy to discuss your specific needs. A guide to understanding the logistics, best practices and breadth of available prepared media options for varying applications.